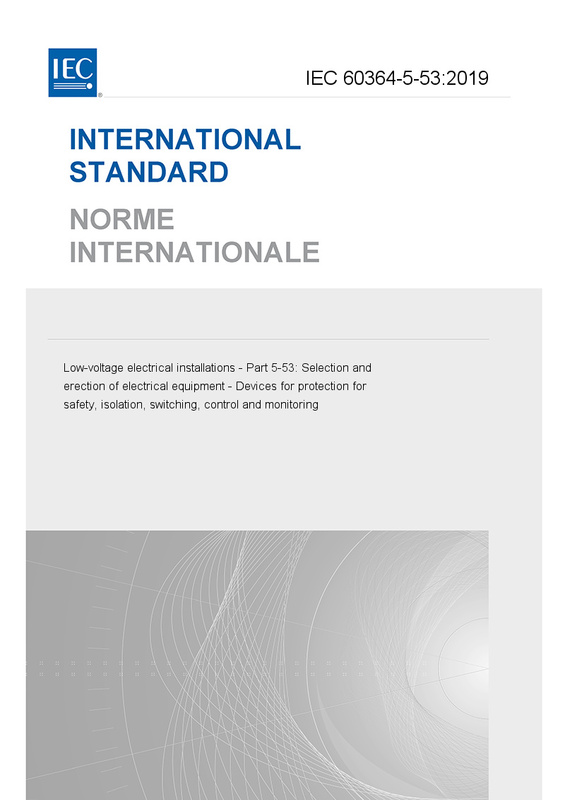 IEC 60364-5-53:2019 Deals with general requirements for isolation, switching and control and with the requirements for selection and erection of the devices provided to fulfil such functions. This fourth edition cancels and replaces the third edition published in 2001, Amendment 1:2002 and Amendment 2:2015. This edition constitutes a technical revision. This edition includes the following significant technical changes with respect to the previous edition: a) revision of all clauses except 531 and 534; b) introduction of a new Clause 537 Monitoring; c) Clause 530 contains all normative references and all terms and definitions.